I have tasted one of the simplest yet satisfying desserts ever! 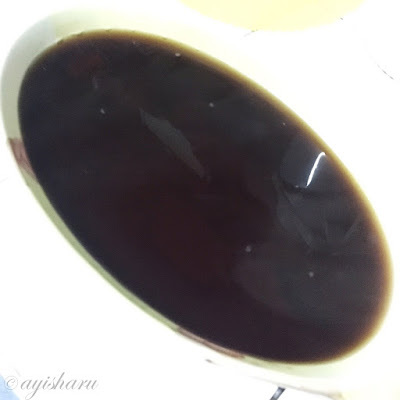 It is jelly with "coffee sauce". I didn't get the name since this is just given free, so I'm calling it "Coffee Jelly". I was then very confident I could make something like this. Ha! Milk can also be added depending on taste preference. We started with the coffee-flavored gelatin. I sought help from my sister because, well, I don't really know how to make jelly. Don't judge me! The aroma is so inviting.. and so coffee-ish. We waited for a few more minutes. It has fully cooled down but it's not turning into jelly. Oh no! 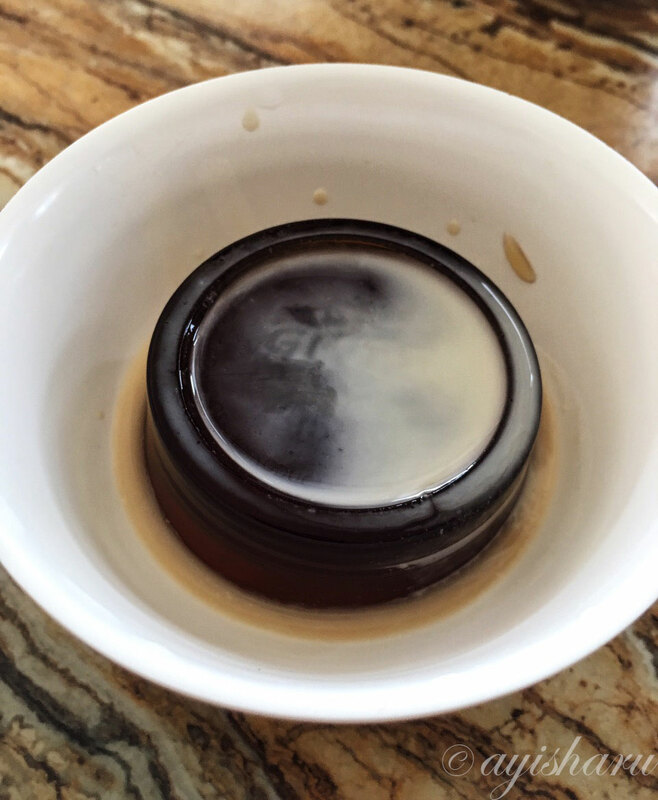 Realizing that the coffee-flavored gelatin is a failure, our mom came to the rescue. We do not have extra coffee gelatin, so instead she used buko pandan. This one hardened in less than ten minutes. She didn't want to put the coffee gelatin to waste so she mixed another pack of buko pandan jelly into it. I first used the buko pandan jelly. Forgive our presentation since we don't have proper molders. For this one I added coffee and condensed milk. It tasted well but not what I expected. After the coffee + buko pandan jelly hardened, I proceeded with playing around with it, too. I only added condensed milk since this is already coffee-flavored. And gawd! It was so sweet.. TOO SWEET! Maybe because it was mixed with the buko pandan jelly. I can't finish one serving because of too much sweetness. My mom then mixed all the jellies left in one bowl. I have learned and realized lots of things. Don't be overconfident. Even the simplest thing, if not done right, can go terribly wrong. Haha! Don't mix buko pandan and coffee gelatin. Never! Try using a unflavored gelatin. Try not to use 3n1 coffee. It's better to have extra ingredients. Just so we don't have to mix different flavored jellies next time.